Statistically we are more likely to have an accident with injury in and around our home than anywhere else on the planet. While accidents in the living room leads the list, the garden is not far behind. 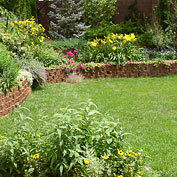 It’s a serious enough health issue that the CDC actually has a web page devoted to Gardening Health and Safety Tips. 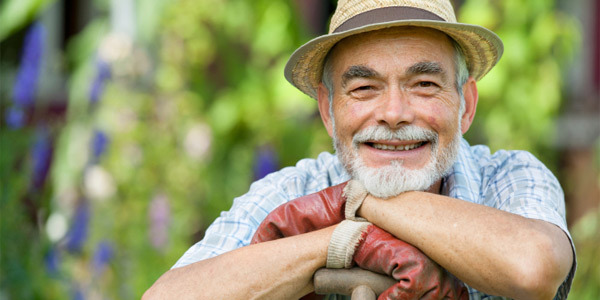 We understand the benefits of gardening as we age – exercise, vitamin D, sensory stimulation and problem solving to keep that brain ‘plastic’ are just a few of those benefits. But, it’s important to realize that making sure we think about safety in new ways is part of every session in the garden. Protecting ourselves begins before we open the door to go outside. It’s important to do the basics: wear sturdy shoes, eye coverings, a wide-brimmed hat, gloves, and perhaps most importantly – use a UVA/UVB sunscreen that is SPF 15 or higher. As we age, we absorb vitamin D at a slower rate, so some doctors recommend 15 minutes of sunlight before putting the sunscreen on. But, check with your doctor before you actually do this! Warm up before doing anything strenuous – pulling weeds is excellent for this. Drink water and avoid alcohol and sugar. Make sure you drink before you are thirsty. Take breaks often. As for me, I have scattered chairs and other seating options throughout the garden. Some days, much of my gardening takes place from a chair and I scoot it around with me. Eat! It’s all too easy to get caught up in getting things done; just don’t forget to fuel the engine. If you are ‘feeling the heat’, get inside with a wet compress, water and if you are dizzy, have a rapid pulse, getting confused, or nauseous it is time to call for help. Make sure your tetanus shot is up to date. Clean any open wounds or cuts with isopropyl alcohol or hydrogen peroxide. Buy OMRI Listed Products For Your Organic Garden! Where would we be without out tools? It’s important that we treat them as valued allies in the garden. A dull or poorly maintained tool is a dangerous tool. Perhaps one of our best new tools in the garden is our mobile phone. Carry it in a closed pocket or elsewhere on your person but keep it near you just in case something goes awry. Sharpen tools carefully and keep them sharp with a portable honing stone. Keep the moving parts on tools well lubricated and clean. Use the right tool for the job – understand the limits of the tool you are using. Paint dull tool handles a bright color so you can spot them easily. Place tools carefully when not in use. Make sure they are not a tripping hazard. Always place blades and tines face down and standing. Cutting tools need to be closed and locked if they are not in use. Ladders should be in good working condition with all 4 points in contact with the ground. Have a spotter and don’t climb the ladder when you are alone. Unplug electrical power tools when not in use. Remember that electricity and water don’t mix. Keep an eye out for hazards. Consider handrails placed strategically and make sure you have them for all steps and stairways. Use care with chemicals – follow manufacturer’s directions for storage, mixing and use. Remember your basic chemistry: add the ingredients into water if diluting, not the other way around. Wear safety goggles or other eye protection. Gardening is a joy and rewards us with fresh food, flowers, amazing smells and sights. Stay safe and make sure that you treat yourself as well as you treat your garden!